When people think of cryptozoology, they often scoff at the idea of people studying Bigfoot and the Loch Ness Monster. But the hunt for cryptids, or mystery animals, isn't just about myth chasing. It's also about finding new species. When does monster hunting become science? Zoology is the study of the animal kingdom, from the tiniest mouse, to the most gigantic dinosaur that walked the planet back in the Jurassic days. Many zoologists study the relationships between different species, or how one species branches out into two or more new species (that's called speciation). Because zoologists want to classify new species as they emerge, their work often overlaps with the interests of cryptozoologists, scientists and enthusiastic amateurs who try to find evidence of legendary animals, "living fossils" (extinct animals who turn out to still be alive), and animals who have adapted to life far outside their normal territories. Like the search for extraterrestrial intelligence, the search for cryptids attracts people with impeccable scientific credentials and people who are, to put it colloquially, batshit insane. And then there are all the people in the middle: citizen scientists with an interest in the unusual, zoologists who occasionally stumble across an animal they can't explain, and armchair researchers who believe there must be something to all those chubacabra stories, if only we had enough evidence to prove it. Cryptozoology rests in an uneasy spot between science and pseudoscience, informed as much by myth as by hard evidence. Sometimes a creature who begins as pseudoscientific rumor, like the giant squid, eventually becomes a scientific fact. Other times, creatures like Bigfoot remain mired in rumor and anecdote, fodder for hoaxes and horror movies but not scientifically verified. But that's exactly what makes cryptids fascinating. A cryptid hunter might follow rumors about a legendary animal, only to discover the true creature behind the myth. Perhaps you've heard of the notorious crocodile frogs of Borneo? Or the wild Kellas cats of Scotland? No? That's because most cryptids are very rare animals who are seen so seldom that they take on the trappings of legend. Often, cryptozoologists find themselves debunking the myths of cryptids, in order to reveal the real (and somewhat less glamorous) animals behind them. British cryptozoologist Karl Shuker, a writer with an academic background in zoology, recently wrote about the likely source for legends of crocodile frogs. Sometimes crocodiles are born without tails, and when these creatures are small, they very much resemble frogs with croc heads. And as for the Kellas cats? There were rumors for years of wild, black cats roaming the Scottish hills. People dismissed sightings as legends until a hunter shot one and scientists classified it as a new mix of wild and domestic cats. When do anecdotes about a cryptid become scientific evidence? Mystery animal expert Loren Coleman has spent decades tracking cryptids, and eventually he collected enough artifacts that he opened the Cryptozoology Museum in Portland, Maine. Among the cryptids he features are scientifically-verified creatures like the coelecanth, a fish long believed extinct, and Bigfoot or Sasquatch, a creature whose existence is still controversial. Coleman takes an anthropological approach to cryptids — he's as interested in the culture and legends surrounding the animals as he is in verifying their existence. The big difference between objects in his collection that are still legendary and those that aren't is pretty simple. There's either a body or there isn't. Though there were hundreds of anecdotal sightings of coelecanths and giant squids, it wasn't until scientists were able to examine bodies of both creatures that they went from cryptids to new species. Though people have produced casts of Sasquatch's feet, blurry photos, and scary stories, until zoologists can actually meet one in the flesh (hopefully, alive), the big guy stays a cryptid. Enormous time, money, and energy have been spent trying to find Bigfoot. Today, in 2006, we have more eyewitness reports than ever before. We have more footprints than ever before. We have more photographs and videotapes and film footage than at any other time in history. The problem is not that we don't have enough evidence; the problem is that the evidence is inconclusive at best. I hope Bigfoot is out there, but I doubt that it is. I believe that 20 years from now, 50 years from now, a century from now we will be in the same position-we'll have more tracks, more sightings, and more photos, but Bigfoot will continue to elude us. That said, there are plenty of good reasons why scientists get involved in cryptozoology. The whole 'science or pseudoscience' issue is so complex with regard to cryptozoology that I don't think it's possible to make a simple decision one way or another. Like many trained scientists, I regard myself as what you'd call a sceptic, but I don't see that being a sceptic is at all incongruous with an interest in cryptozoology, nor even with being a 'cryptozoologist', and lots of people happy to call themselves dedicated cryptozoologists would and do agree with me. What I object to in particular is the knee-jerk reaction that any interest in cryptozoology makes you a crank or a naïve believer in the impossible. Not only are some targets of cryptozoology entirely 'believable' (example: new marine sharks and cetaceans), the assumption that people interested in cryptozoology necessarily 'believe' in the existence of the supposed targets of cryptozoology is erroneous. Clearly, you can investigate mystery animal reports because you're interested in what they might tell you about the evolution and transmission of folklore, the reliability and abilities of eyewitnesses, and so on. Furthermore, I always thought that the scientific evaluation of claims of any kind was meant to be a good thing. Basically, there's definitely science to do here, whether you advocate the possible existence of the respective supposed animal species or not. 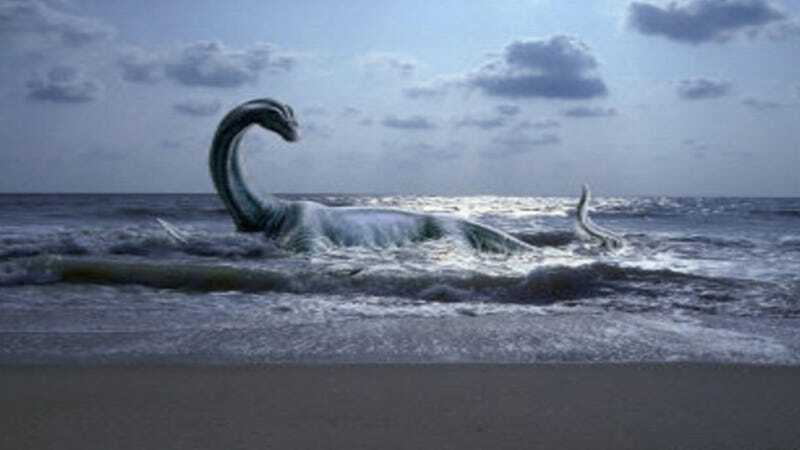 In other words, gathering evidence about a sea monster doesn't mean you necessarily believe it is real. But if hundreds or even dozens of people report seeing an unusual creature in the water, there's nothing wrong with following up on their reports and trying to gather scientific evidence.